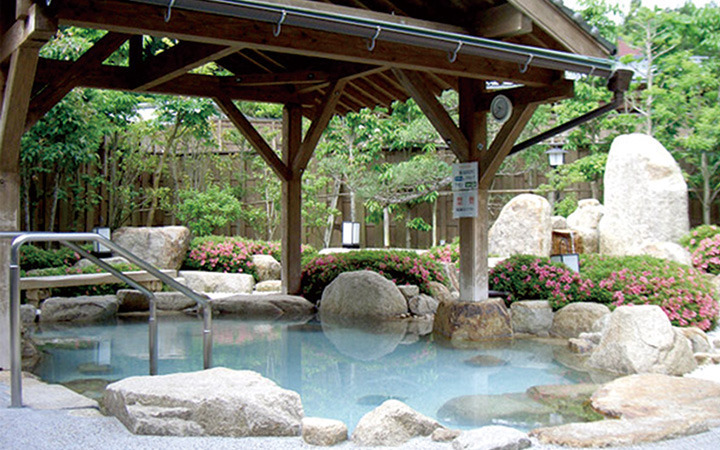 The facade is a simple Japanese style design and the interior features a relaxing main public bath, bath with jet streams, sauna, and open-air outdoor bath. There is an exceptional amount of the chemical element radon in the spring water, giving the water health benefits such as recovery from fatigue making it popular among visitors. Visitors can enjoy seasonal views of the hot springs year round. Cherry blossoms in the spring, dreamy scenes of fireflies fluttering about the lotuses in the summer, blueberry picking in the autumn, and sipping on sake during the winter.